Posted on Wednesday, June 4th, 2014 at 5:28 pm. 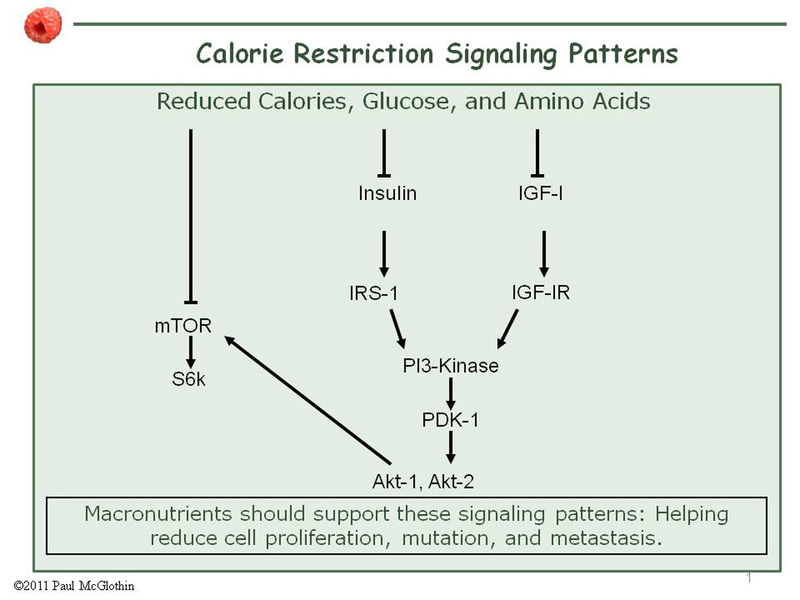 Effective calorie restriction works differently from other low calorie diets. The CR Way approach focuses on optimal health and longevity. Anyone can create a low- calorie recipe. But The CR Way recommends food and lifestyle choices that change how your cells communicate. While every CR Way recipe is delicious, it also emphasizes slowing the rate at which cells divide – ultimately slowing growth. 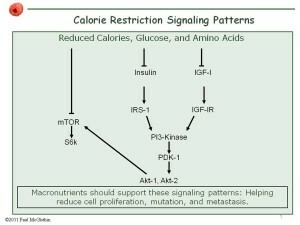 At the recent Calorie Restriction Society Conference in Las Vegas, Living The CR Way president, Paul McGlothin presented The CR Way plan for customizing a low calorie, anti-aging diet that really works for longevity. This slide provides background for how the CR Way down-regulates growth as an underlying biological theme for a longevity diet.